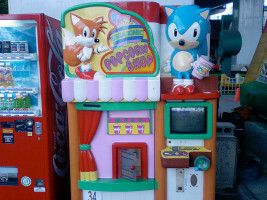 Perhaps the most obscure platform Sonic has ever been on has been on arcade machines. Three obscure titles had been made and, until recently, two of them had never seen the light of day in years. The first was Waku Waku Sonic Patrol Car, which you may recall got dumped last month. 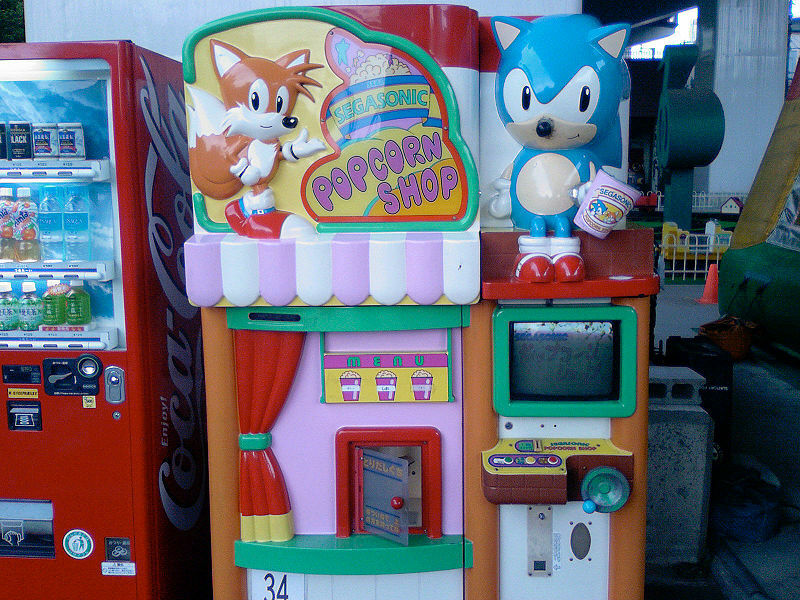 The second of the three has now been dumped and it’s a strange one: SegaSonic Popcorn Shop. Why is it strange? The game isn’t even a game per se. It was more so a video demo in a vending machine to entertain the user while their popcorn was being made. To play the “game”, the player turns the green crank to help Tails get the kernels into the fire while Sonic waves his finger at you. However, the popcorn is dispensed whether the crank is turned or not. The plot is simple. Sonic and Tails want some popcorn. Eggman wants some too and threatens them with a hammer. He steals popcorn as it pops but Sonic and Tails roast Eggman and destroy the machine. And that’s it. The main notable note is that this game also operates on MegaDrive-type hardware named the SEGA C2. It also curiously comes with an English switch, meaning there is a possibility the game came to the West in limited numbers, or at least was planned to. So what is the third obscure game? The most obscure of them all. It’s the shoot-em-up game SegaSonic Cosmo Fighter Galaxy Patrol.